The butterfly season is well underway, and by now all the whites, elfins, commas, tortoiseshells and ladies are flying. There have also been reports of Dreamy Duskywing, Black Swallowtail, Orange Sulphur, Northern Spring Azure, Mourning Cloak, Question Mark, and Red Admiral. 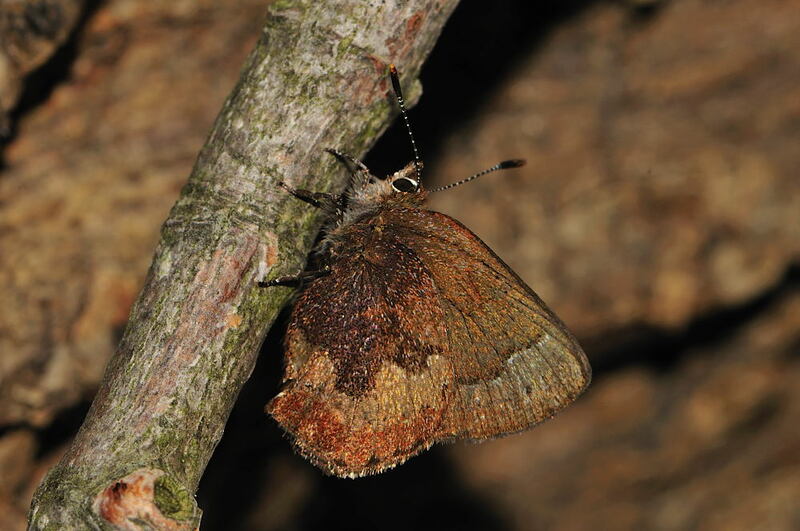 Other species that ought to be on the wing already include Northern Cloudywing, Juvenal’s Duskywing, and Early Hairstreak (the latter is extremely rare). Combined this is a whopping 27 species! There is also the possibility of some interesting vagrants right now and in the coming week (right now the Weather Network is calling for five straight days of south winds for Sackville, NB). You’ll likely have noticed the very large number of Red Admirals around. These are part of a huge migration event that has been going on this spring; a migration event that includes many southern species. Southern Ontario has seen unprecedented spring numbers of Fiery Skipper, Little Yellow, American Snout, Variegated Fritillary, Common Buckeye, Dainty Sulphur, and Sleepy Orange. I’m not saying that these will all show up in the Maritimes, but the possibility certainly exists for at least some of them. Check out this post and this post on Brandon Holden’s Blog for photos of some of these species. PS: We are still busily working away on the 2011 data. It will be on the website as soon as possible.